I remember when I was as little as those kids in the kindergartens, my mom crafted a flower out of paper and got me so excited. She said that particular flower symbolized friendship and told me to give it to the ones who I deemed good friends at the time. It was the first time I saw something so aesthetic that I kept it for my own and displayed it at the front of my little desk. I asked her to teach me how to make the flower and it was the first piece of origami that I made. 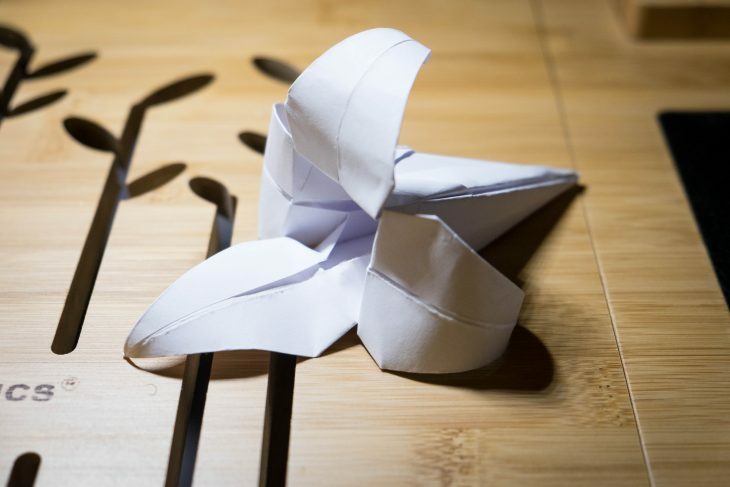 Origami in Japanese literally means folding paper. If I were to describe origami to people for better understanding, it is the combination of art and engineer kind of stuff. It’s just so aesthetic with a pinch of mathematics and some of the models are like masterpiece made by the hands of god. When I got to primary school, I took origami as one of my hobbies and I still keep it as one until now. I used to have a cupboard full of origami models I learned from my parents and from the instruction books they bought for me but I ended up having to put them away to clear out the space for other things. When I got to highschool, many of the presents I give to my friends for their birthdays or Christmas or something similar were all made by me with the origami. I don’t know but for me, handmade presents like that are more personal and attain a higher level of closeness and it shows how dexterous I can be so yeah, it’s good. It was so easy to give away presents when girls were not all about lipstick and makeups and stuff like that. But I guess I’m old fashioned and tedious then.